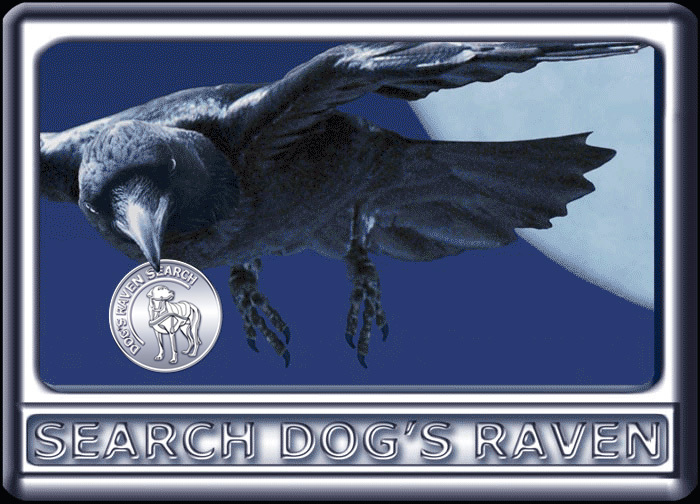 Search Dog's Raven tells the Eerie Story of a Wilderness Search Dog Team. cliff..and then all flew away except one." "It was the Search Dog's raven." unexplainable. At least until you see the end of the film. Though aiming for a 'PG', the film Search Dog's Raven is not yet rated.